During the winter months, life can get more difficult for seniors and older adults. The cold, dry air can cause discomfort, and ice and snow can make it risky to go outside. To make things worse, seniors are at increased risk of conditions such as hypothermia and frostbite. As seniors age, it gets more difficult for their bodies to detect changes in temperature, and they shiver less. This means there are less warning signs for these dangerous conditions. Seniors and their caregivers should ensure they stay warm and secure during the winter months and avoid any risks by following Welbi’s winter safety tips. Dry skin is a common issue among seniors. As adults get older, skin gets thinner and more prone to damage and dryness. Cold, dry winter air can exacerbate this problem, so it’s important to prevent dry skin before it becomes a larger problem. Staying hydrated and drinking enough water is one major way that older adults can try to prevent dry skin. Getting a humidifier is another great option, as it can increase the moisture levels in the air during the cold, dry winter months. Moisturizers like creams or lotions are also a good way to keep skin healthy and avoid dryness. When seniors go outside in the winter, they should ensure they’re properly dressed so that they avoid complications. Hypothermia and frostbite are very real risks, and should be taken seriously. It’s important for seniors to wear proper winter outerwear, including a hat, mittens or gloves, a scarf, boots, and a thick, warm coat. Layers should also be worn underneath the coat, but care should be taken as to what the layers are. A few thinner layers is better at keeping in warmth than one thick layer, and it’s also more comfortable. Keeping warm and dry when going outside is important, as wet clothes can cause body temperature to drop very quickly. The winter months also bring with them an increased risk of falls due to ice and snow buildup. Seniors are already more prone to falls, and they’re the leading cause of injury, with between 20-30% of seniors falling each year. If seniors have to go outside during the winter, they should ensure that they’re wearing the proper footwear. A pair of non-slip or skid-resistant boots with rubber soles and good traction go a long way in keeping stable footing. Any pathways, steps, or sidewalks outside the home should be shoveled when it snows, and salted when ice begins to build-up. If the senior is unable to to this themselves, a family member or community helper should be requested to do so to ensure the senior’s safety. It’s important to ensure the home is heated to a comfortable temperature so that seniors don’t get too cold during the winter. The thermostat should be set between 18-21°C (65-70°F). If it’s still too cold, other devices like space heaters can be used, but caution should be taken. Unlike electric heaters, unvented gas space heaters should not be used indoors, as they can potentially cause carbon monoxide poisoning. However, all heaters should be placed away from other objects such furniture or curtains because they can potentially cause fires. There should also be a fire extinguisher somewhere in the house, just in case. Family members should routinely check up on their senior loved ones to ensure there are no fire hazards in their home. While getting the home to a comfortable temperature is one thing, keeping it that way is another. One way to ensure heat doesn’t escape from the home is to look for cracks in the home and spaces in the lining of doors and windows. Heat can escape through these spaces and can let in drafts which cool the house down. Draft-proofing the home with caulk and spray foam can make the house much warmer and more comfortable for seniors. 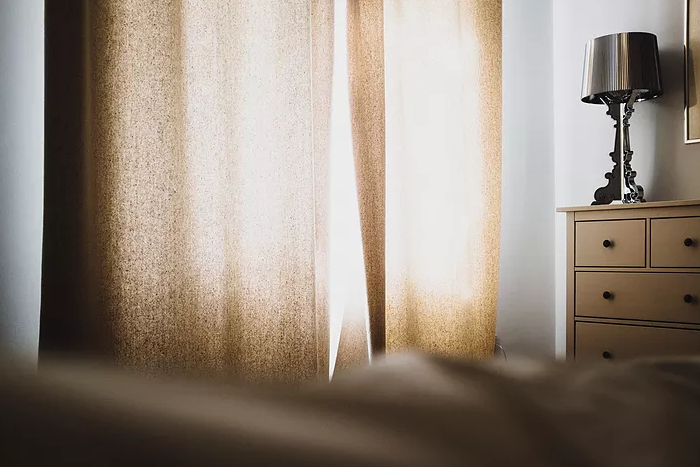 Additionally, placing blinds or thick curtains over windows will also help keep the heat inside and prevent it from escaping. Seniors that live alone should be prepared in advance for any emergencies that could happen during the cold winter months. If something happens and the senior needs to contact someone, a list of important phone numbers including family members and healthcare providers should be easily accessible. Ice and snow has the potential to damage power lines or phone lines, especially in more rural or less accessible areas. Seniors should ensure they have everything on hand that they may need, including essentials like flashlights, batteries, canned food, and medication. A charged cell phone is also good to have in the house in case landline phone service gets knocked out. By following Welbi’s tips, seniors can ensure they stay safe and warm during the cold, difficult winter months. Seniors should work together with their caregivers or family members to winterize their home and property, and gather any supplies, clothing, or winter gear that they may need. For some people, it can be difficult to visit their older loved ones regularly to check up on them, especially during the winter. Winter may be challenging for seniors, but by planning ahead and taking the appropriate precautions, they’ll be able to get through the winter safely and comfortably.